Hargeisa University, the biggest university in Somaliland, has been partnering with several foreign universities in order to boost the recognition of the university and its diplomas abroad. British, Canadian and African universities have been partnering with the University of Hargeisa, in the Republic of Somaliland, to boost the institution's international credibility and the recognition of its qualifications. Although international recognition has yet to be conferred on Somaliland since it separated from Somalia in 1991, its largest university – which has 6,500 students and is located in the capital city of Hargeisa – has been seeking foreign partners to supply higher education to Somaliland students. In early 2013, Hargeisa University signed an agreement with Scotland's Heriot-Watt University, in terms of which the Edinburgh-based university would accept Hargeisa's degrees and diplomas as valid qualifications. The deal also involved Heriot-Watt helping to invigilate Hargeisa's distance learning examinations, and offering scholarships to Hargeisa students. "Our latest agreement with Heriot-Watt University, for it to invigilate our distance learning exams, really helps to give our efforts recognition, which we hope will lead to increased levels of acceptance of our students wishing to study overseas," Dr Abdi Hussein Gass, president of the University of Hargeisa, told University World News. This followed an October 2012 decision by the University of Cambridge to recognise educational certificates from Somaliland. And Hargeisa medical students have been helped since 2006 by King's College London. For instance, they have their final exams monitored and administered by King's College London's school of medicine. These initiatives have helped to improve Hargeisa University's credibility, encouraging other international universities to collaborate with its staff and students – it has 200 teaching staff. Among the most popular courses currently offered by the University of Hargeisa are bachelor degrees in business administration, medicine, law and engineering. The university has also just introduced a nursing degree, with a key aim being to improve Somaliland's maternal healthcare, according to Gass. "In order to reduce infant mortality and improve the health of mothers it is necessary to upgrade the skills of our undergraduate students," he said. Somaliland's social care sector is expected to benefit in future thanks to a new agreement between Hargeisa and Ottawa. Canada's Carleton University is launching a new social work programme this month, helping Hargeisa to improve its teaching materials, and offering cooperation in research projects and opportunities to exchange staff and students. In early 2013, Hargeisa signed a similar agreement with Kenyatta University, Kenya's second largest institution, for the future recognition of its qualifications. Kenyatta also agreed to make applications on behalf of Hargeisa for funding from European Union capacity-building programmes – which Somaliland universities cannot currently access because of the region's unrecognised legal status. "The University of Hargeisa appreciates assistance to help continually improve our standards as a competitive East African institution," Gass told University World News. One of the greatest deterrents for potential foreign investors in Somaliland is the dearth of domestic professionals able to implement financial reporting in line with international standards. A new partnership between the university and the Association of Chartered Certified Accountants, or ACCA – the global body for professional accountants – aims to help improve business conditions in Somaliland. The university joined ACCA in 2011 and now has the authority to certify accountants from Somalia and Somaliland through a campus-based ACCA exam centre. "By joining the ACCA international body for examinations, the University of Hargeisa has an important role to play in developing Somaliland's capacity for financial reporting," said Gass. Despite these advances, the expansion of the university's educational programmes has been challenged by a lack of resources, partly because of the international community's failure to recognise the breakaway region as a country independent from Somalia, despite that fact that it has exercised de facto independence since 1991. Subsequently, the country has also been ineligible for financial support from the International Monetary Fund and the World Bank. "Libraries are poorly equipped to meet the current educational and research needs: there is a shortage of educational materials, computers, furniture and small teacher-student conference rooms," commented Gass. "The lack of recognition has created problems for the whole country with the lack of aid, finance and insurance. 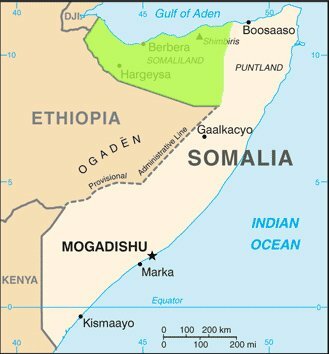 No lecturers are going to go to Somalia, which Somaliland is [part of] officially," said Richard Sills, chair of the Darlington Gacmadhere Foundation in the UK, which promotes educational opportunities for Somalilanders. Over and above steps towards international recognition, what Hargeisa really needs is comprehensive recognition of its work and courses. Gass explained: "Our students cannot attend most international universities because University of Hargeisa degrees are not recognised by many international universities. Eid Ali Ahmed, a UK-based special advisor and consultant to Hargeisa, added: "It is difficult, or not even feasible, to have visiting professors and lecturers from international universities. If scholarships are secured for students and lecturers, it would be difficult to obtain visas to travel." The university has a limited annual scholarship programme, for 30 students. The Somaliland government contributes USD16,000 to this annually, while the university is expected to generate an additional USD55,000 each year. The outstanding amount is to be generated by the university's fundraising efforts. The most important thing is to keep contact with the international university community, said Richard Sills of Darlington Ga'amadere. "The international community can help universities in Somaliland like Hargeisa by setting up exchange lecturers and by having exams set by international universities. This raises standards and the exam results would also be more likely to be recognized overseas." Despite the challenges that come with being a university in involuntary exile from the rest of the world, the mood on campus is positive. "The future of Hargeisa University appears brighter because of the new wave of partnerships with foreign universities. The momentum we have is increasing and we are confident it will generate more learning opportunities for our students," said Gass.